The Cayin C6 is a portable high-fidelity headphone amplifier and DAC made for Apple products. The brushed aluminium casing provides electro-magnetic shielding and is robust enough to ensure the C6 is protected in the face of everyday use. 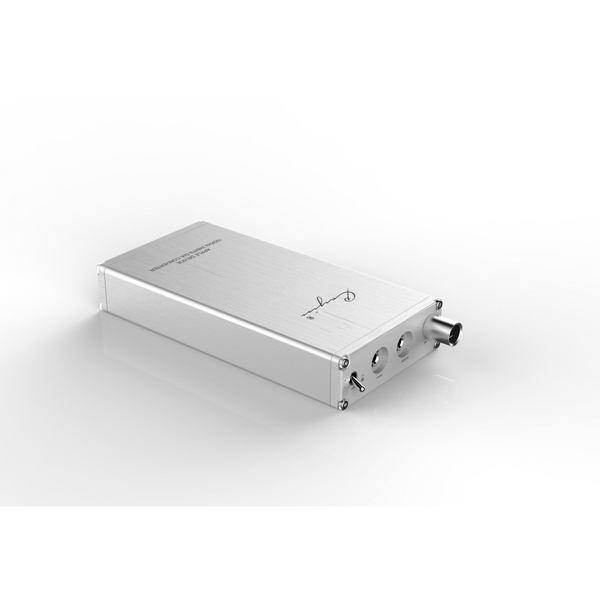 Incorporating the Wolfson WM8741 DAC chip, well known in the industry for outstanding sound quality, the Cayin C6 Portable Headphone Amplifier can connect to Apple devices to bring you vastly superior audio quality compared to the standard sound. Compatible with current Apple devices. The Cayin C6 also works as a dedicated portable headphone amplifier to help drive your power hungry headphones on the go. With around 8 hours of battery life, the Cayin C6 Portable HiFi Headphone Amplifier should last through the day. The Cayin C6 features a dedicated gain toggle for when you feel your headphones need that extra kick. USB Specification: USB 2.0 Support up to 16bit/48kHz of digital files. This part of the stock item is not present or functional. Condition: Used condition, cosmetically marked. No lightning cable. This part of the stock item is not applicable e.g. it might not include accessories or software as standard.